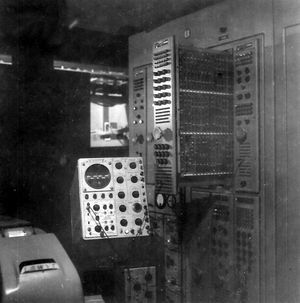 FST-2 - A Radar Data Coordinate Data Transmitter (CDT) built by Burroughs Corporation at their Paoli facility outside Philadelphia for use in the SAGE System. The FST-2 took the analog radar data, processed and digitized it and created digital target words that were transmitted to the SAGE Direction Center. 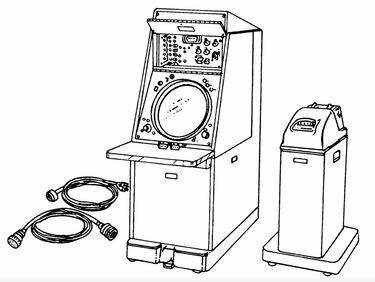 A total of 134 FST-2 CDTs were installed at SAGE System radar sites and training facilities during the late 1950s and early 1960s. Two complete sets were located in Building 2901 at Keesler Tech Training Center in Biloxi, Mississippi, where training courses were conducted. The surviving FST-2s were replaced circa 1972 with Common Digitizers, FYQ-47, and FYQ-49s. The initial 18-month FYQ-47/49 USAF/FAA replacement program was completed in February of 1973. The FST-2 was a very large duplex digital system using vacuum tube technology. Over 6900 vacuum tubes were used in each FST-2 requiring 21 air conditioned cabinets, 40 tons of airconditioning, 43.5 kva of prime power and usually a large new addition to the operations building. The FST-2B modification added two more cabinets but with newer solid state (transistor) technology to process coded responses from aircraft transponders (IFF/SIF). The FST-2 used a magnetic drum synchronized with the radar set to store target "Hits" when sufficient hits were recorded a target message was created and sent to the direction center over voice grade 4-wire telephone circuits. Once a target was identified, the direction center could return a request for height information and slew the radar site height-finder to the correct azimuth where an operator would identify the target and transmit the target altitude to the direction center. This page was last modified 20:43, 1 August 2018 by John Stanton.